Ships tomorrow if you order in the next 16 hours 22 minutes. 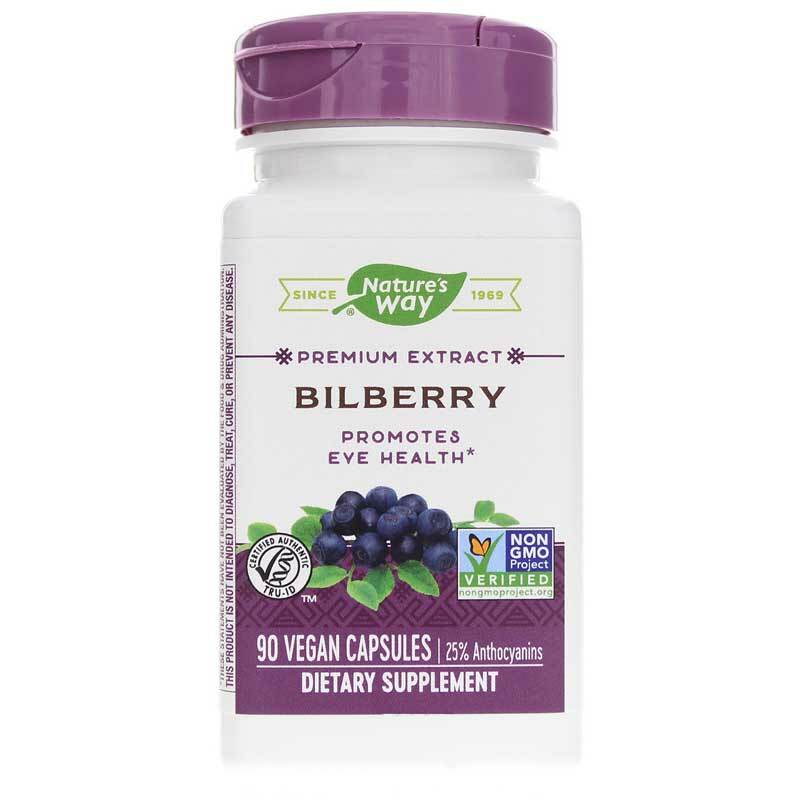 Bilberry Standardized from Nature's Way contains Bilberry fruit extract, standardized to 25% anthocyanins, an antioxidant that may help support normal, healthy eye function. Bilberry has a long history of use, both as a food and a medicinal plant. The berry is rich in antioxidant flavonoids called anthocyanins. These pigments give bilberries and other dark fruits, like blueberries, their deep colors and may provide natural protection against free-radical damage. 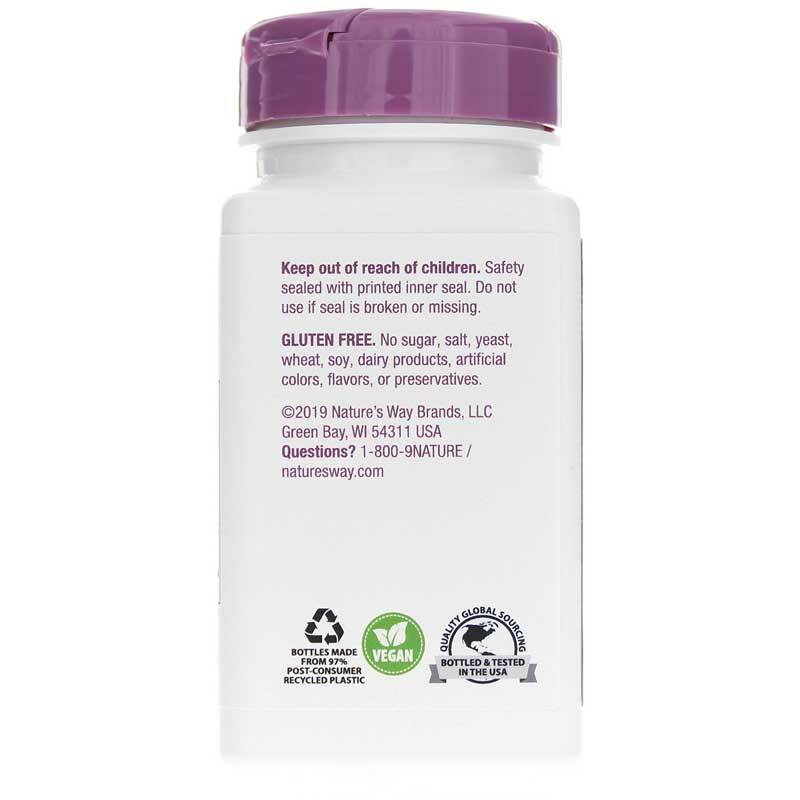 Adults may take: 1 capsule, three times per day, preferably with food. 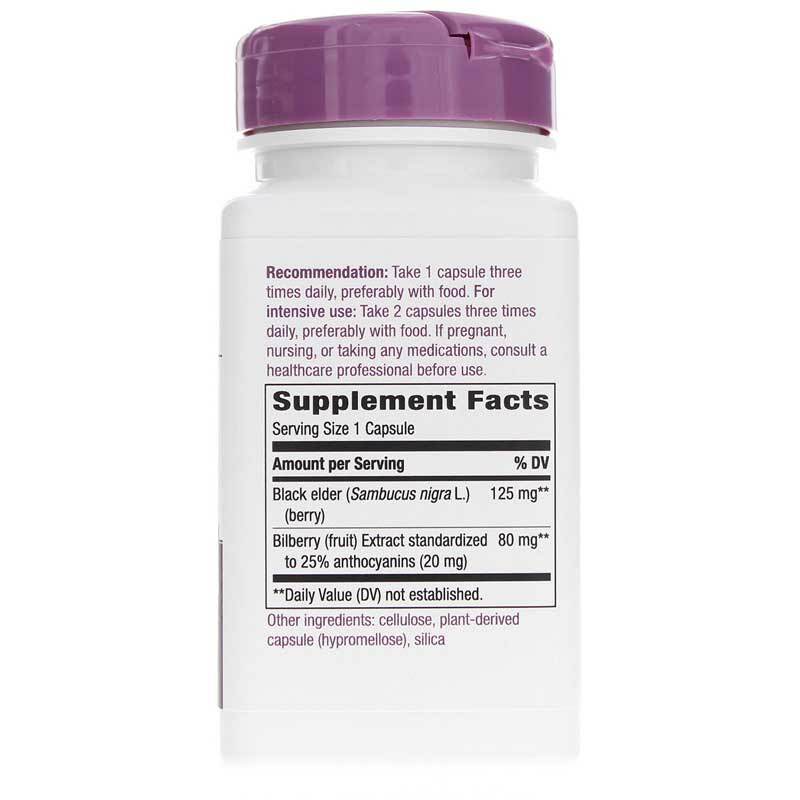 For intensive use, 2 capsules may be taken three times per day. Adults: Take 1 capsule three times daily, preferably with food. If you are pregnant or nursing or taking any medications, please consult your healthcare professional before using this product. Keep out of the reach of children.